Every successful job search will have a structure. It is not a meandering journey, it is a focused and systematic set of actions which obviously have a beginning and an end…it is what happens in between that is paramount. Technology has made people lazy. They believe that little effort beyond submitting a few online applications is required. Nothing could be further from the truth. An effective job search is demanding. Employment opportunities are not effortlessly delivered by drones or email. They are hunted down by stalking employers, gathering intelligence, talking to real people and positioning yourself to be available and known. Think of it as a military operation and consider the massive planning that went into the “D Day” landing in Europe. That’s the way to approach a job search…minimal effort will not cut it. Challenged job seekers (currently employed included) will tell you that there are no jobs available, their resume is not up to standard, the economy is bad, the system is broken and on it goes. The problem in most cases is with them and not tackling the job search task correctly (as above). 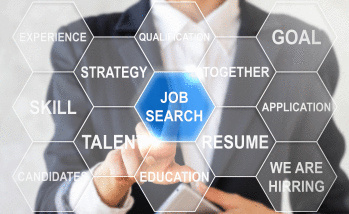 So what are the components of a structured job search? The above are components of a structured job search, they are not the structure! The structure is similar to the steps on a ladder as they force implementation of the components within a prescribed and known format. A structure is both predictable and disciplined, with the ability to be evaluated and modified along the journey. An unstructured, undisciplined and haphazard approach can be disastrous and totally unrelated to your workplace skills and abilities. In other words just because you are good at your work, it does not mean that you are good at job searching…in fact most people are not. The assumption that because I am a good ENGINEER (?) then I must be good at finding a new job is often the pathway to despair. The same career management/job search mistakes are repeated everyday throughout the nation and across all occupations. Listen to people grumping on about it at parties, in cafes and in public transport to confirm this.